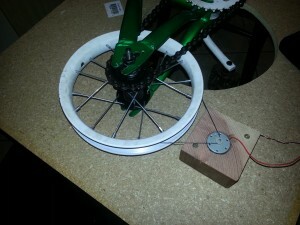 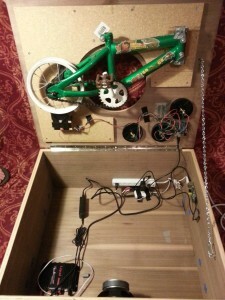 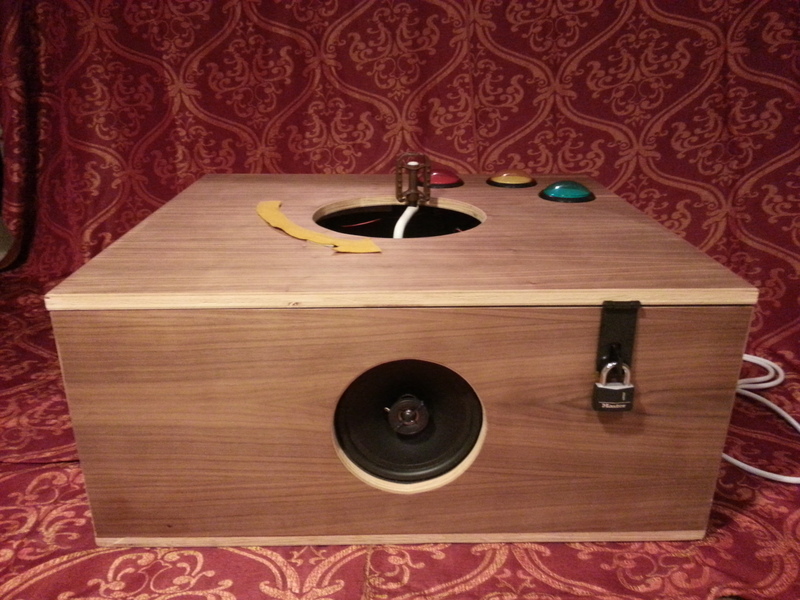 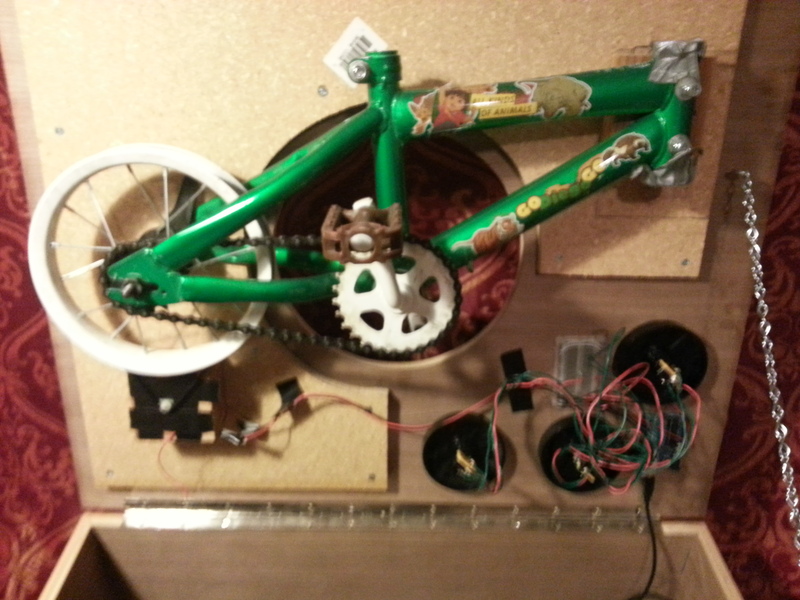 This box plays back a sample at a variable speeds using a bicycle pedal and wheel unit. 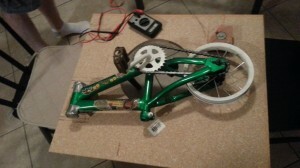 Parts of a child’s bike are used as follows: the pedal turns a wheel, which turns a DC motor via a rubber ring (from a pool filter). 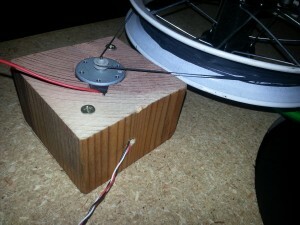 The turning motor generates an electric current, which is read by the Arduino and passed on to the Raspberry Pi. We scavenged the DC motor from and old tape player, so it came with a plastic disc with grooves which was very useful in attaching the motor to the rubber ring. Three push button / LED assemblies were also connected to the Raspberry Pi via the Arduino.